Who is the first actor you think of when you think of motorsports? Paul Newman? James Garner? Steve McQueen? Patrick Dempsey? Jason Priestly? Tom Cruise? Those are all good choices, but they're also all wrong if you believe NASCAR. And that's because they just chose James "I really went to Yale" Franco as the Grand Marshall of this year's Daytona 500. 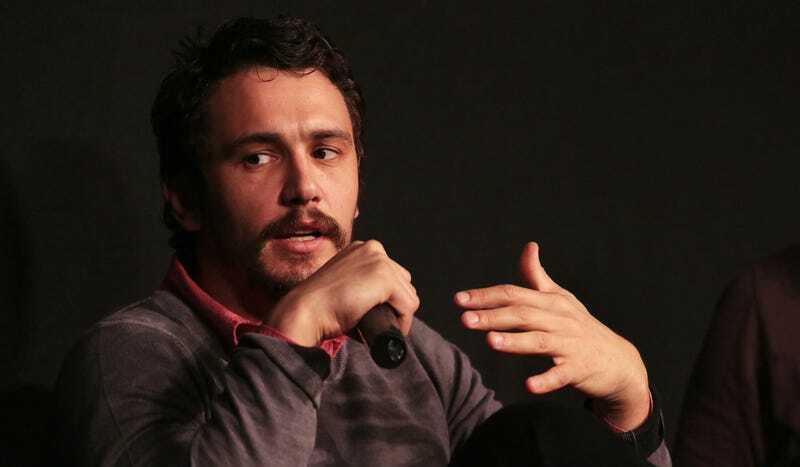 You might remember James Franco from such racing focused events as ______ and ________. He's well known for loving at least one brand of car, I'm sure of it! I also heard he once casually passed a NASCAR race on the TV while switching channels. He did do a wonderful job driving that cop car in Pineapple Express though. Of course, I kid. Franco might be a huge racing fan and we just haven't heard about his love of racing yet. It's also common practice to bring in a higher profile name to be the Grand Marshall at races like this. But I don't really see Franco as the same "star power" presence as someone like Jack Nicholson (he was the honorary starter at the Indy 500 a few years ago), Ben Affleck, or even Nic "Nic" Cage.